I know it's December already, but WTH, better late than never! 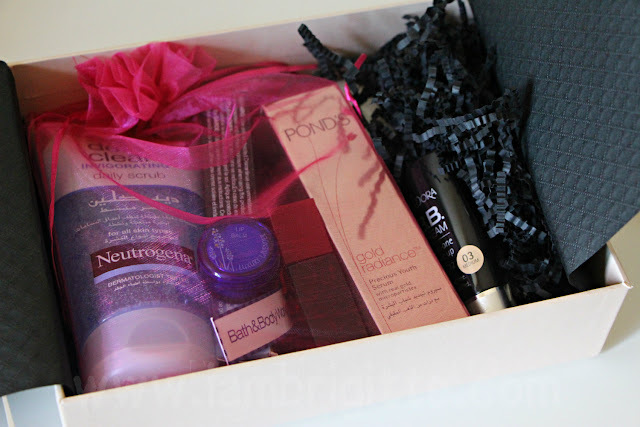 Subscribing to beauty boxes is the "in" thing nowadays. If you're the type who's into surprises...because it's like getting presents each month (depends on your subscription type) and wants to try out goodies without committing to full sizes, then it's for you. I've never subscribed to any of the beauty boxes back in the Philippines, but I got to try some of them. Now that I'm here in Dubai, I also wanted to try out the products available here without my money going down the drain just in case they don't turn out okay on me. So, I got myself my very first beauty box subscription with Glambox. 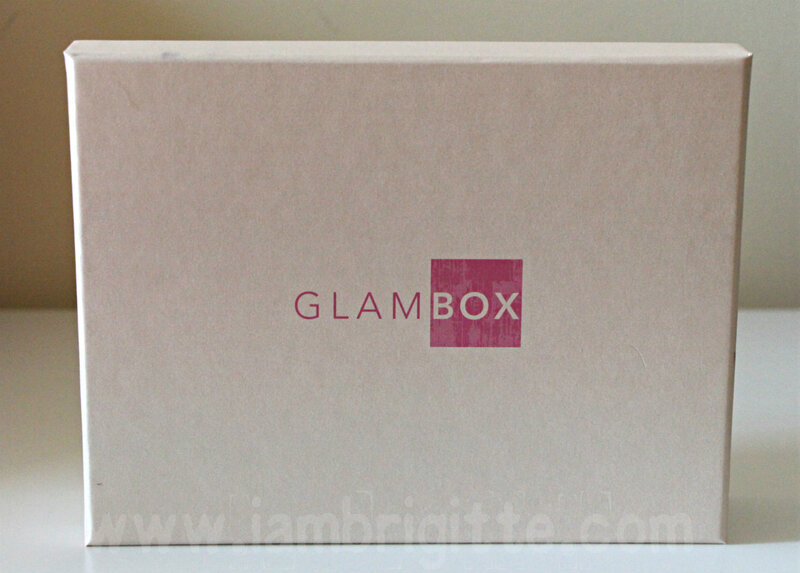 Glambox is just like most of the beauty boxes I know from back home. You sign-up for a 3, 6 or 12-month subscription (sorry, no monthly!) 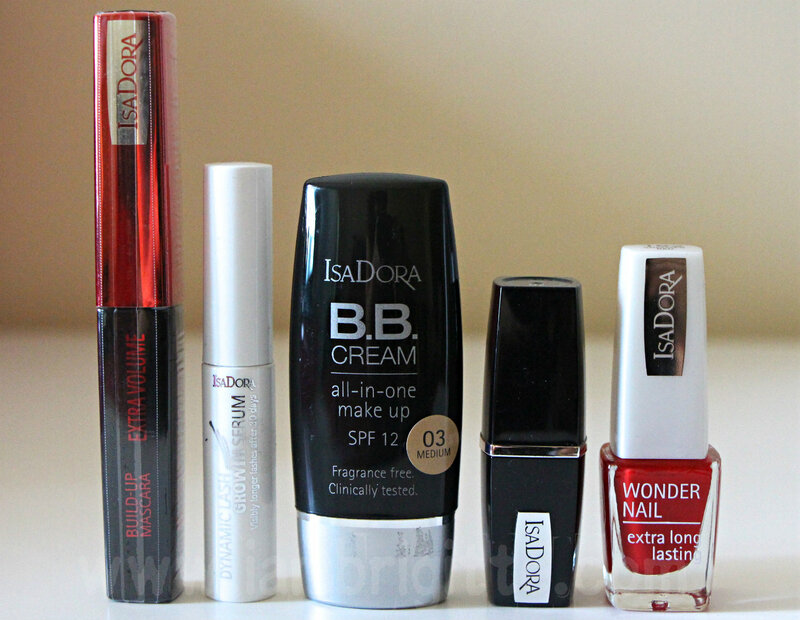 for 239 AED, 449 AED or 849 AED respectively. Basically, the price of a box becomes cheaper if you subscribe for a longer period. 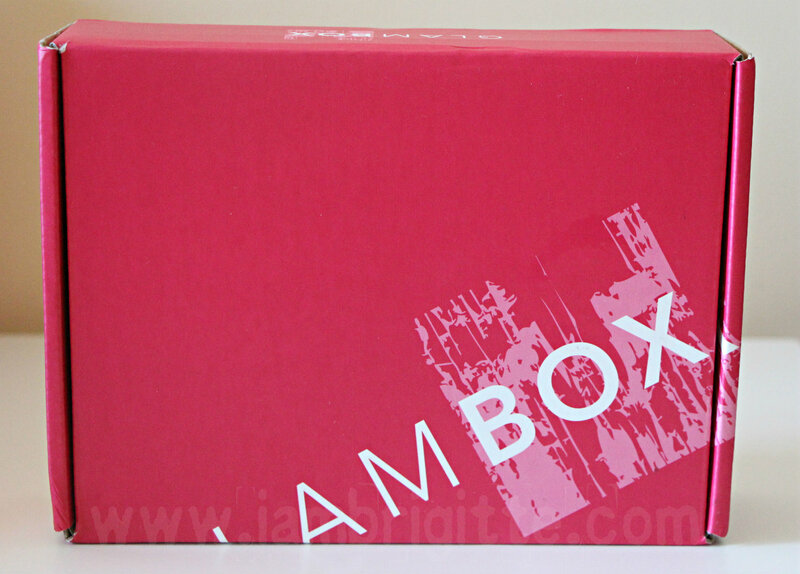 Should you get the 3-month susbscription, you pay for 80AED/box. I subscribed to a 3-month subscription mid-November and the first box arrived November 27. No credit card or Paypal? No worries, they offer COD for an additional 15 AED. And just like any other beauty boxes, they deliver right to your doorstep. I like that it comes in two boxes, that's an additional storage box for me..yay! Don't you just love opening presents that are nicely wrap like this!? 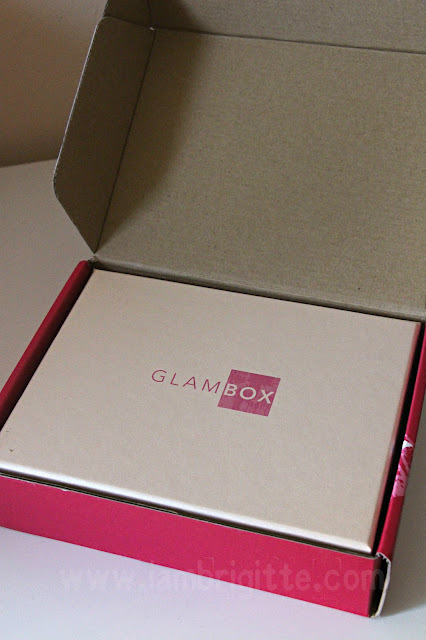 It comes with a Beauty Tip card and yes, Glambox also has a Youtube account that you can check out for tutorials and information about the products included in their boxes. It also comes with this handwritten note, which definitely feels more personal. It makes you feel special, don't you think so too? 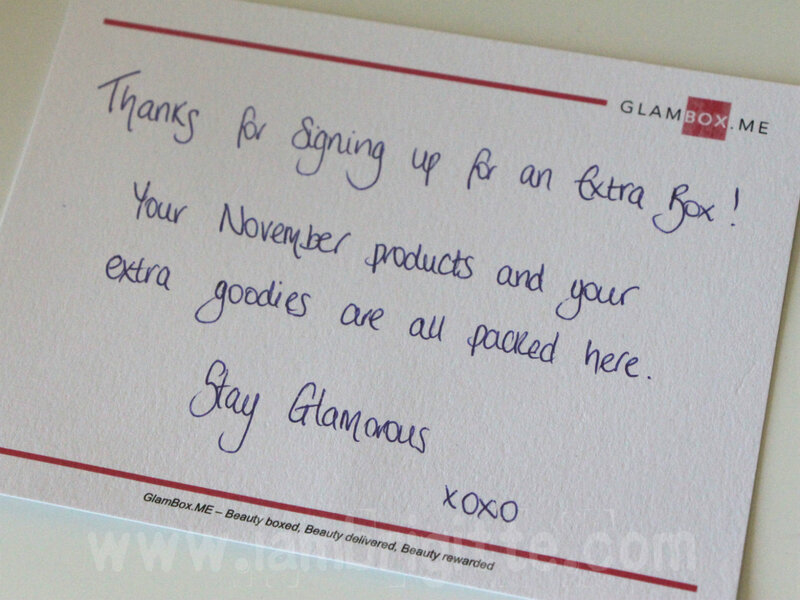 By the way when I signed up, there's this voucher code for getting an extra box. I think it's for new subscriptions but I'm not sure if it's still on as of this time. I've been checking out their Instagram account for weeks, contemplating on whether to subscribe or not, but when I saw their announcement regarding this voucher code, I finally decided to give it a go. I also read that during the EID, they have a promo of getting the 12-month subscription for half the price. Now, that's a good deal! The box definitely looks full to the brim, but I guess it's only because I am actually getting two boxes. Looks good, eh? 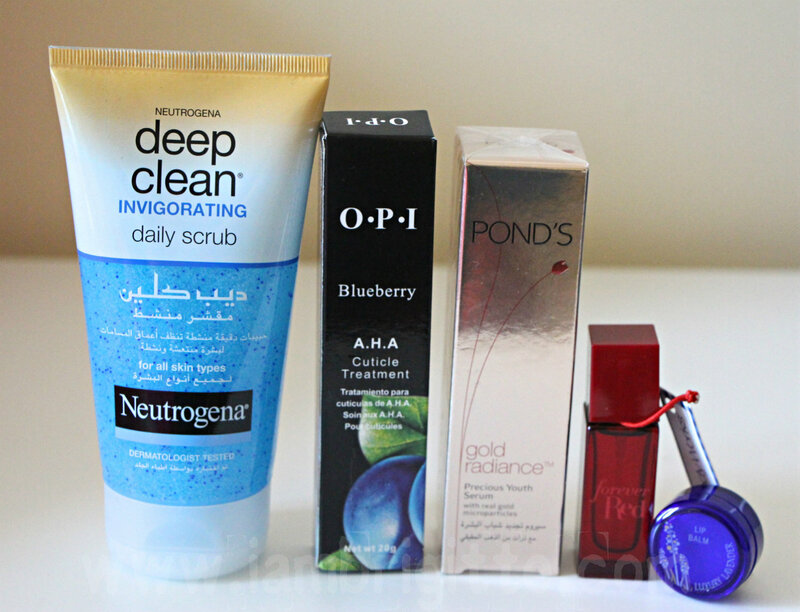 The Ponds Gold Radiance serum alone costs around 65- 70AED so I have to say this "box" alone is already worth it. I haven't tried the rest of the products yet except for the sample perfume (Forever Red from Bath and Body Works) and omg, it smells so good! I want to get a full size! 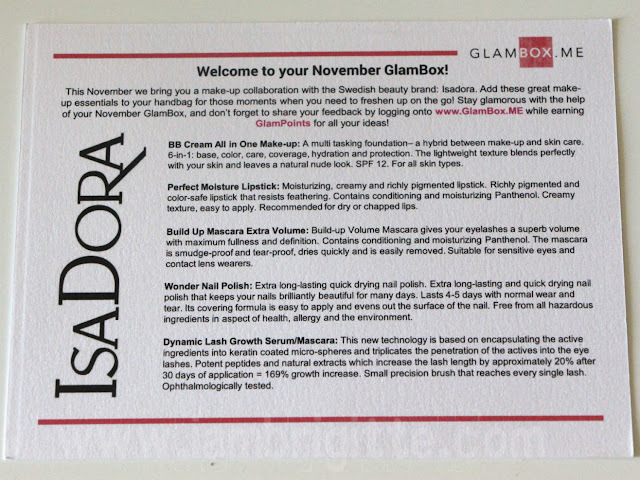 And now to the November box, which happens to be an IsaDora exclusive edition box. 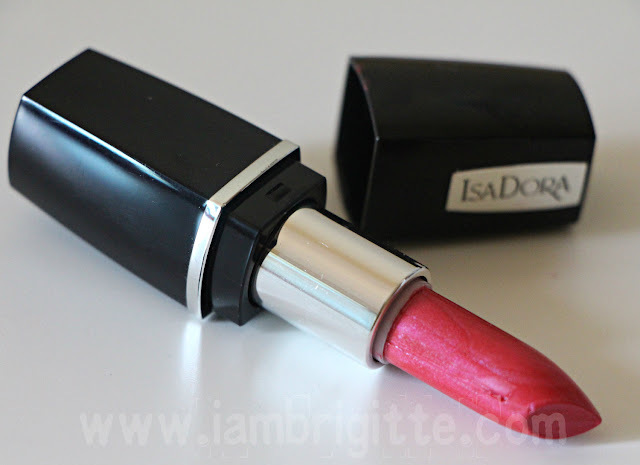 IsaDora is a famous European makeup brand made in Sweden and have been in the industry since the 80s. It's my first time to hear about the brand, but from the reviews I've been seeing online, I think they have a number of products that I'll also like. 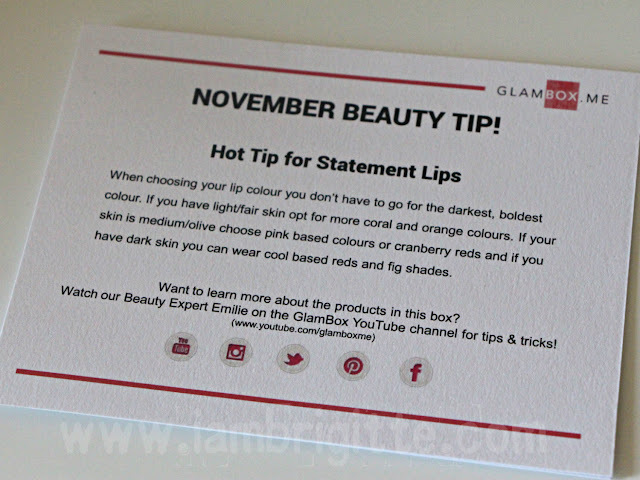 Just like any other beauty boxes, the Glambox also comes with a product information sheet. Too bad, the prices are not included here. I've talked to a fellow blogger and she told me that hers include the prices. Good thing I was able to find price information of some of the products online. IsaDora Dynamic Lash Growth Serum (138 AED for a full size), promises 20% increase in your lashes length after a month's use. I'm not sure if this sample size would suffice but I am definitely giving this a try. I'll start using this soon and will let you know if this works. IsaDora Build-up Mascara Extra Volume (86 AED for a full size) is a smudge-proof and waterproof mascara that gives lashes that extra oomph. 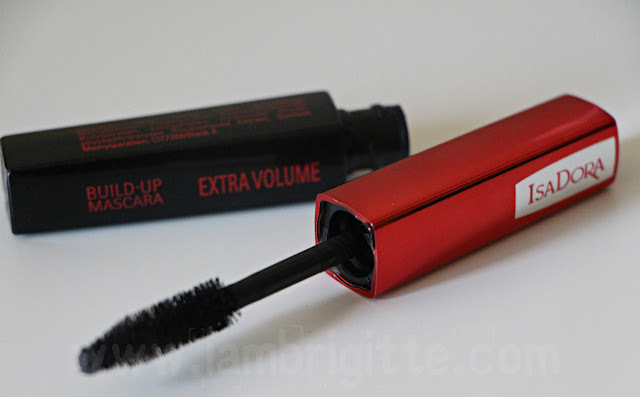 I've tried this on my outer lashes and it weighed down the curl. 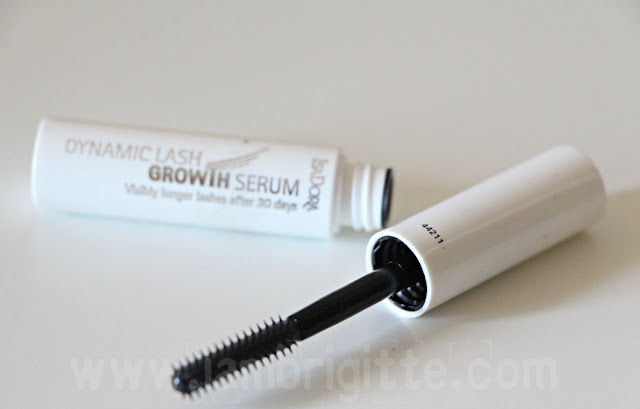 Now I'm not sure if it's just because I wasn't really able to curl my lashes properly and that I was in a hurry when I applied this. I'll give this another try and hopefully it would work out for me. 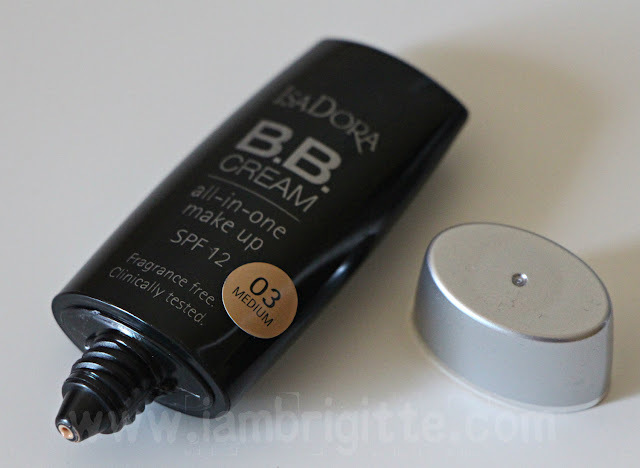 IsaDora BB Cream All-in-One Makeup SPF 12 (107 AED for a full size) just like any other BB creams we know, is a hybrid between a makeup and skincare. Too bad the shade I got, Medium, is dark on me so I don't think I'd be able to use it. Sniff. 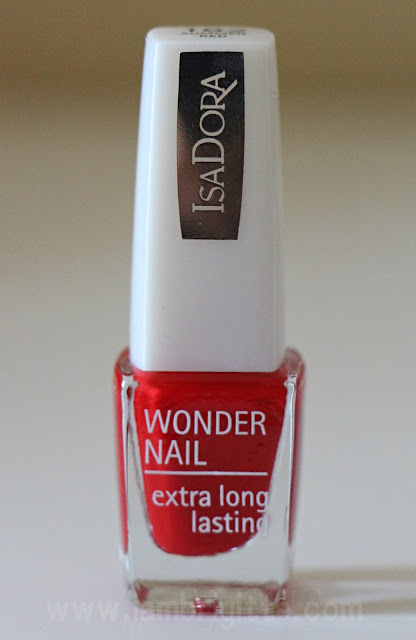 IsaDora Wonder Nail Extra Long Lasting in Summer Red is a fiery kind of red that's just so timely for the coming holidays. I've read a lot of good things about this particular nail polish line from IsaDora and I'm excited to try this soon..well, after I get my a proper manicure! IsaDora Perfect Moisture Lipstick (92 AED for a full size) in Vivid Pink, is a frosty pink-red that's glides on like butter and is very pigmented. 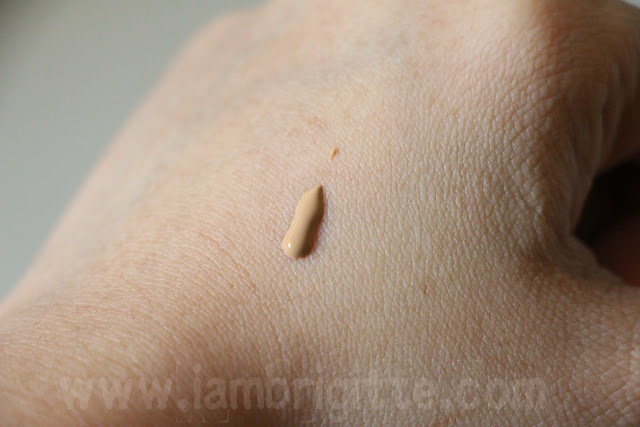 The finish is almost opaque in just one swipe! I am not a fan of frosty lips, but this one looks good. I love that it was able to survive a cup of coffee and a meal, so the staying power is really good. It leaves a bit of a stain too! Now, is getting a subscription worth it? For this box, I can say that it is because I'd be able to use most of what's in it. 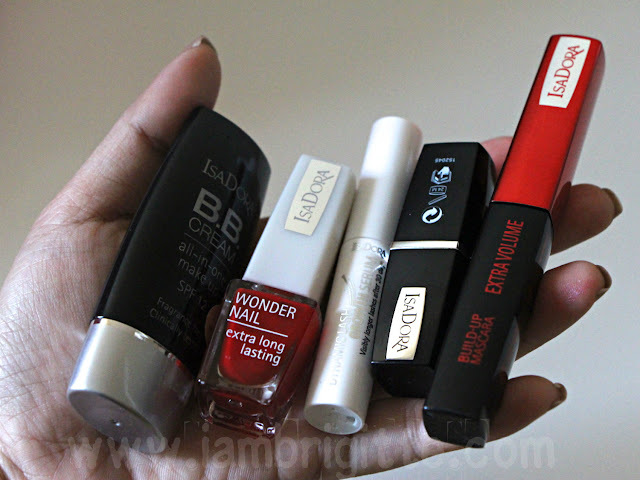 And I love trying out new makeup! I just hope that the boxes to follow would be as good, if not better. I've read online that there were some months when the box isn't that worth it, now that's the risk you have to take in subscribing to beauty boxes, you'll never know what you'll get. It's a hit and miss kind of thing. I'm looking forward to getting my other two boxes, hopefully they would have some really awesome products in full sizes! Besides, it's Christmas. It won't hurt to be extra generous, yes!? that's a lotta loot, lady! 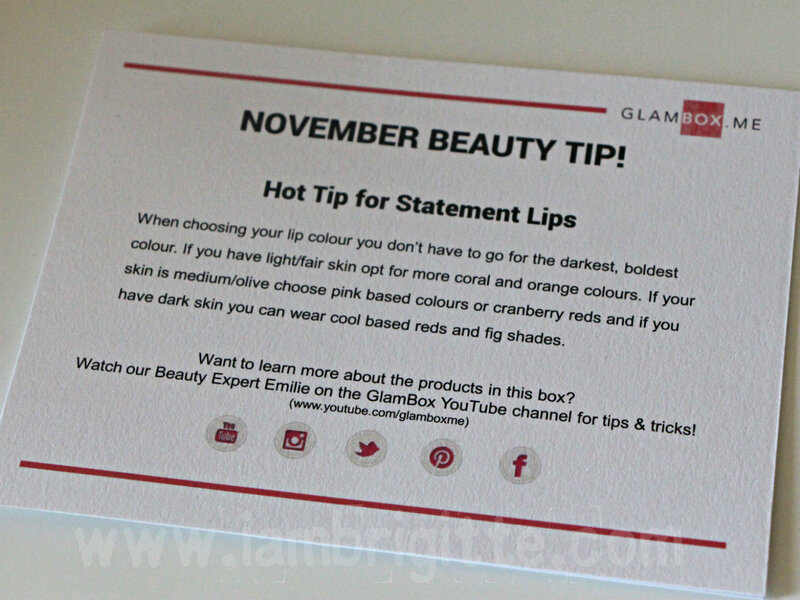 I especially love the luxe lavender lip balm on your extra box. For Isadora, my son is giving me a run for it. It is so easy to apply he can paint all his little toes in one quick swatch. I try hard to remove with cotton balls but boy it dries so quickly! I hope come January it will just come off his toe nails hihi. Bad Momma.